Turkey is not a carb. It is a protein. However, I've been asked "Carb Diva, how do you fix your Thanksgiving turkey?" So, allow me for one day to divert from carbohydrates to an traditional American roast turkey dinner. We start with one 20-pound turkey. Yes, I know that the chefs on Food Network suggest cooking two smaller birds. 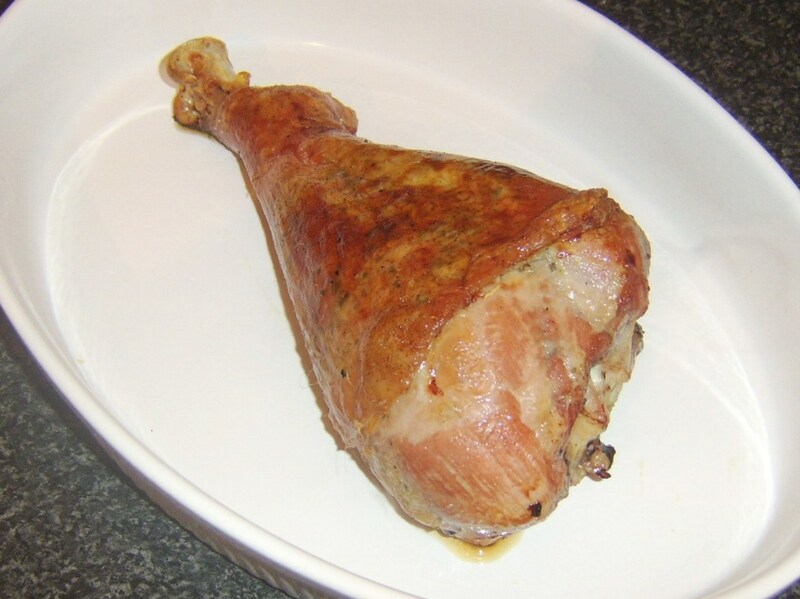 In theory that sounds reasonable, but the truth is that the ratio of meat-to-bone is much higher in a larger turkey. 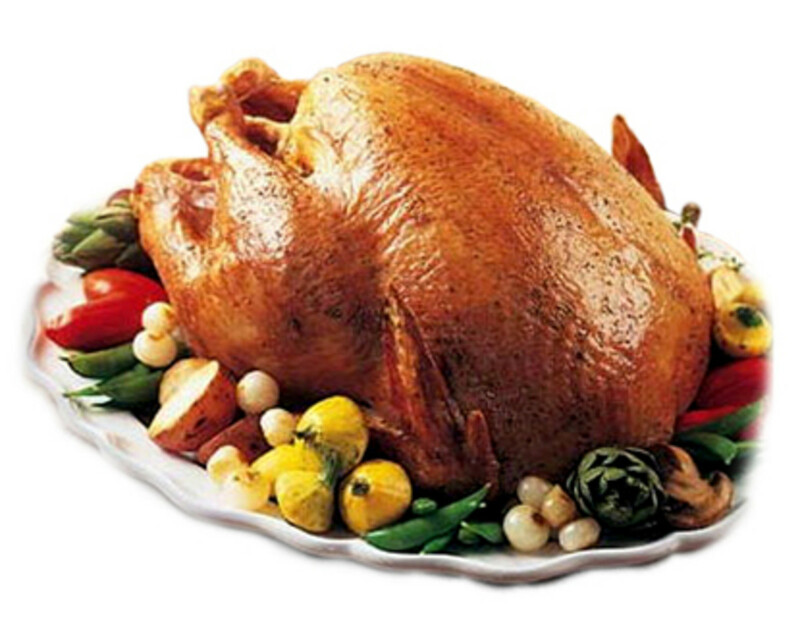 Two 10-pound turkeys do not yield the same amount of food as one 20-pounder. I'm sorry, maybe you wanted something less, but when you consider how incredibly cheap turkey is, how can you consider anything less than 20 pounds? You can use the leftovers in so many (wonderful) ways, and I promise that I'll share some recipes with you next week. And turkey meat freezes beautifully. So following is my method of roasting a wonderfully moist turkey (yes, even the breast meat). You will need a covered roasting pan to make this work. Don't do the foil disposable pan. Don't do the open pan. You MUST have a roasting pan with a cover. Remove the wrapping, the plastic leg ties, the neck and whatever other goodies might be hiding in a bag inside. 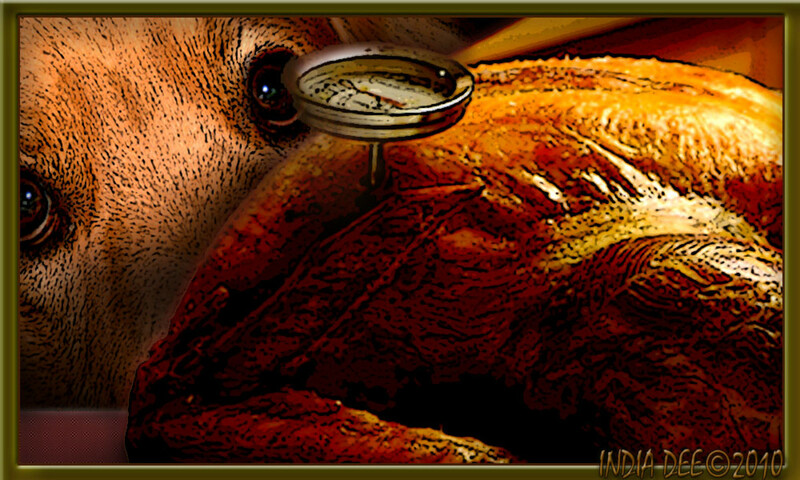 Thoroughly inspect your turkey. Remove any loose fat, pin feathers, or whatever other nasty things you might find lingering. Next, place the now clean turkey upside-down in the roasting pan on the roasting rack. 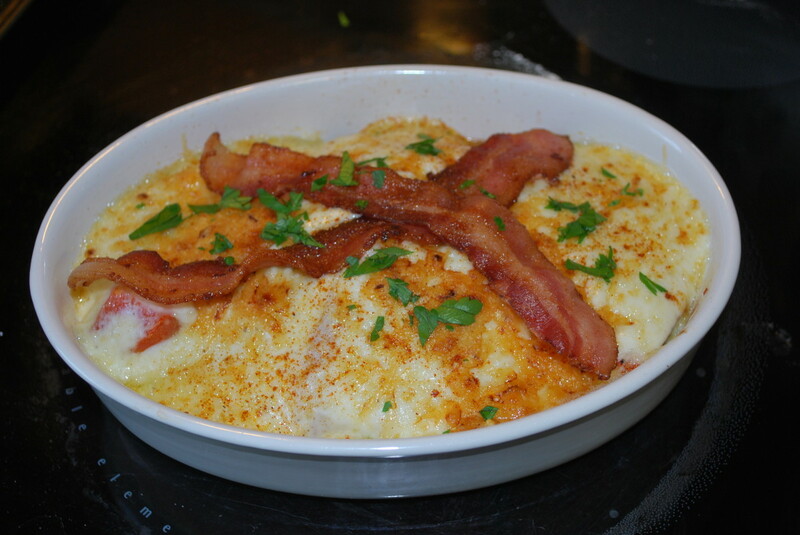 Most recipes say "breast up". I always roast "breast down" so that the juices trickle down to keep the breast meat moist. Dry the skin thoroughly with paper towels and then rub about 2 tablespoons of olive oil onto the skin. Salt and pepper the skin. This is also the time to add "aromatics" (see below) to your turkey. Fragrant/flavorful fruits, herbs, and spices inserted into the cavity of your turkey will add impart their subtle flavors to the turkey meat and will enhance the resulting juices (which will be used to create an amazing gravy). 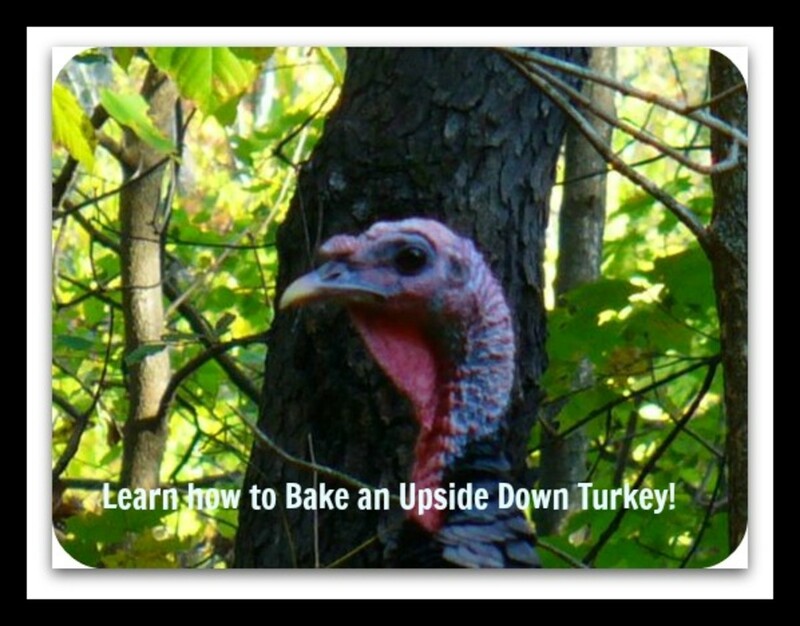 Preheat oven to 500 degrees F. Place the upside-down turkey (uncovered at this point) in the oven and roast for 30 minutes. 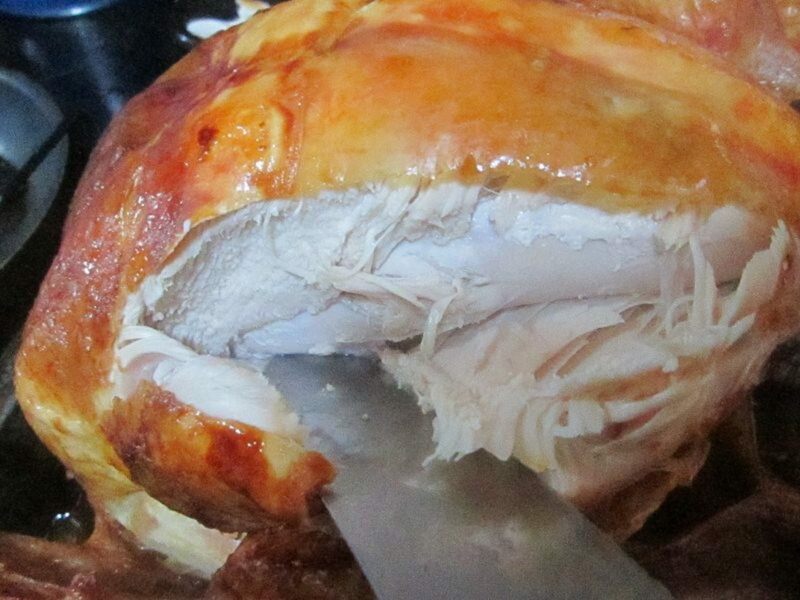 This will destroy any bacteria lingering on the outside of the turkey. 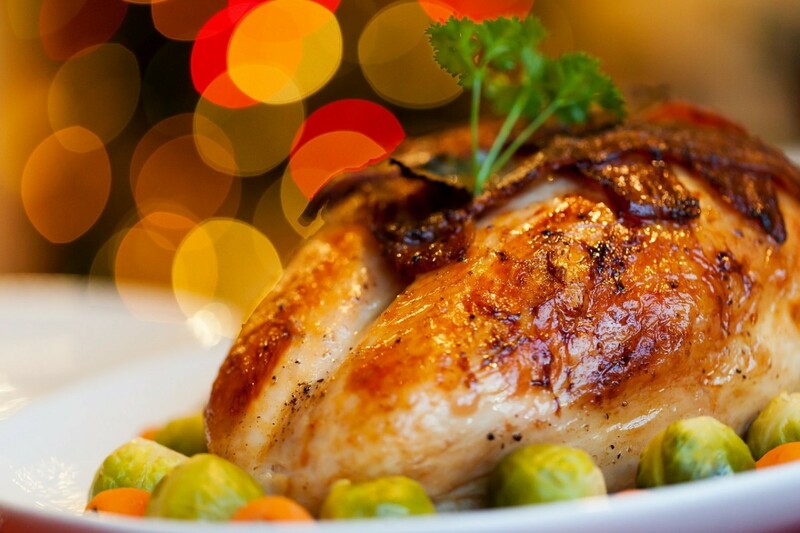 After 30 minutes, place the lid on the turkey and lower the temperature to 200 degrees F. Roast for 20 hours. Yes, you read that correctly. One hour per pound of turkey. If perchance your turkey is an 18-pounder, roast for 18 hours. Because your oven might not be precisely 200 degrees, I would recommend that you check on your turkey one hour BEFORE it is due to be done. At this point, your turkey will be done--moist, succulent, tender, and most of all--SAFE! Allow it to sit for at least 30 minutes, and then carve and serve. Or, do as I do--cook your turkey one day before you plan to serve it. Allowing it to rest even more than 30 minutes makes carving super easy, and you can reserve the drippings, refrigerate overnight, and skim the fat from the top to make a healthier gravy. Jackie - I would be worried too if my pilot light kept puffing out; be have electric so have never had that problem. Yes, waiting is the hardest part. The girl kitty we had (she passed away 3 years ago) would SIT in front of the oven when there was a turkey inside. (5) you have time to turn the carcass into beautiful stock, (6) your kitchen doesn't look like a disaster zone when guests arrive. That ended my slow roasting and that is really a shame because I do remember how good and fall off the bone tender those birds were! I think it might be time to do that again (with an electric oven of course). The only bad thing I recall about slow roasting was all those hours having the house filled with that wonderful aroma! Everyone was moaning way before dinnertime.